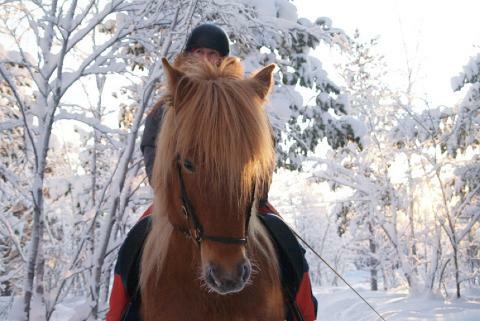 We pick you up in Kiruna and drive to our farm westwards. 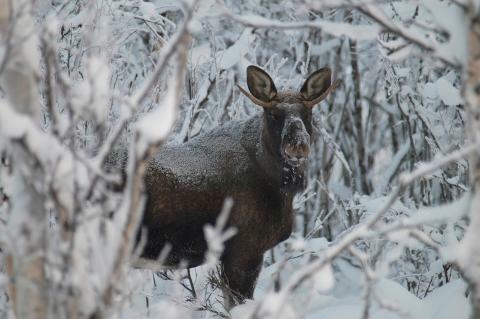 We drive through the moose winterland and the moose use to bee seen close to the road. 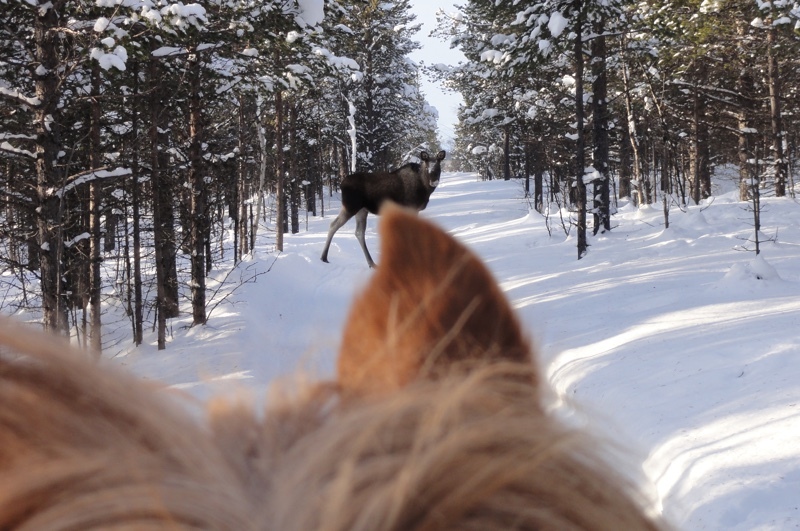 After arriving to our farm we prepare the Icelandic horses and go for a tour in the forest where the moose use to be during the day. When we are on horseback we come closer to the animals than usual and on this tour we try to tölt with the horses if it is possible. After the riding we have lunch at our farm and then we drive you back. 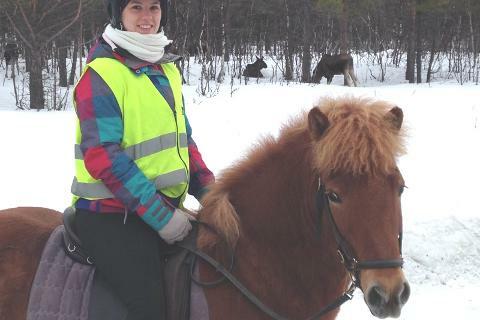 This tour is certified with the Swedish Ecotourism Society’s label, Nature’s Best. Restrictions: You need to be minimum 2 persons for the tour to run. Please note that other guests can be booked on the same tour. Please note! If the tour seems to be full, don't hesitate to contact us so we can double check the possibilities for you to participate.